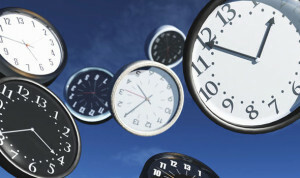 Time is just a tale we tell ourselves to help us manage motion. Last week’s post rocketed you at near light speed to swiftly tour the center of our galaxy. The round trip took you about an hour. Arriving back you found the Earth was 50,000 years older. Time travel— predicted by Albert Einstein in 1905—is by now a well-established fact. You saw this seeming-strange phenomenon is all about traveling clocks: Relative motion of a clock slows down, relatively, all motion in the clock. Time itself is—as Einstein said—all about clocks. His special relativity theory shows that observed motion of a clock slows down (relatively) the observed motion in the clock. This happens even when you are the clock. Hence the famous twin paradox—you return from travel and find your twin is older than you. 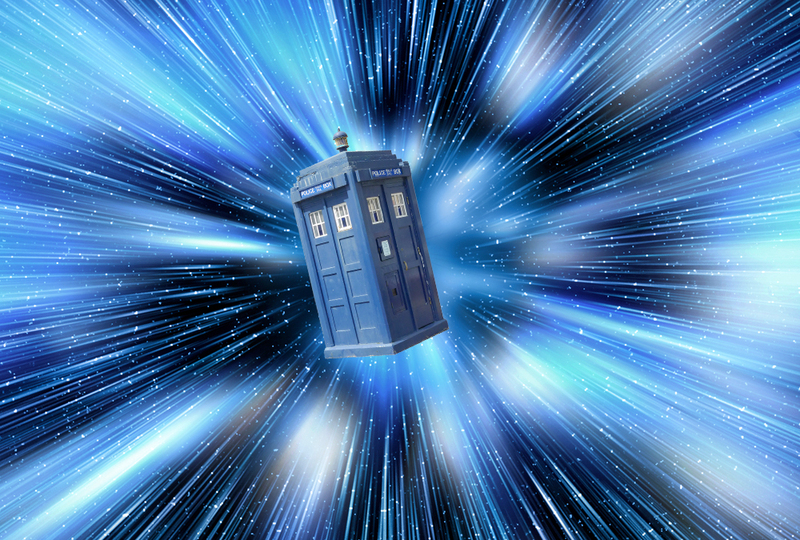 Time travel tells us time is not a fundamental property of the universe. Most physicists dodge this crucial mental step. Instead they formulate mainstream physics around how things change with time. This physics is successful as far as it goes. But in the scale of things (both very large and very small) it does not go far. Early last century the logical positivism movement consumed many European thinkers. They said statements about reality are meaningless; we know only what we observe. Some went so far as to say there is no objective reality. So for more than a hundred years physics has been hung up on philosophical distinctions between epistemology (roughly, the study of observing) and ontology (the study of reality). Many physicists adhere to a logical-positivist position. They see physics as epistemology and avoid ontology. Their physics does not even try to be about reality. Albert Einstein began his career firmly in the positivist camp. He ended as a realist. But his life’s work was taken over by positivists in a cloud of contradictions. A key change of Einstein’s mind relates to the nature of space. In 1905 his special relativity theory did not need any absolute frame of reference in space. Two years later his former teacher, mathematician Hermann Minkowski, showed how Einstein’s equations become simpler if time multiplied by the velocity of light is treated as a spacelike dimension. The four-dimensional result is called spacetime. Distances in spacetime can be calculated but cannot be observed. Yet the positivist movement embraced spacetime rapturously as it appeared to abolish the supposed reality of space. A decade later Einstein showed how his general relativity theory (a far more profound work) meant that space is indeed real. This conclusion does not sit well with positivism; so to this day it has been largely ignored. But for fifty years, as cosmology matured to become the senior science, its measurements showed Einstein’s later view to be right. Relativistic physicists now sit in an isolated silo. They regard the universe as 4D. That is, they view spacetime as real. It’s not. Spacetime takes real three-dimensional space and mixes it with imagined moving clocks to make a mongrel 4D. Cosmologists now explore the frontiers of physics. They regard the universe as 3D. Observations confirm it is. Space is the largest and most massive object in the universe. Time is about motion in space. Motion arises when matter in this 3D space is in a slightly different place in the next 3D universe that replaces it. You might say this is what the universe does for a living. For physicists the moral of time travel is: Return to reality, where you can explore vast virgin terrain.